Editor’s Note: This article was originally published in Overland Journal, Fall 2011. Photography by Scott and Stephanie Brady, Cam Brensinger, Chris Collard, and Jeremy Edgar. The recoil forces me backward, the shaft releasing from the teak stock of the Riffe spear gun and driving home into the side of the triggerfish. I take a moment to pull the fish toward me, coiling the steel cable on the gun, all the while floating above a magical aquatic world of blue. Rock outcroppings below provide a haven for grouper, barracuda, and countless reef species—and a great place to fish. The Cortez waters feel cool against my torso, refreshing me and insulating me from the endless email and phone calls that occupied my workweek prior. As I climb onto the pebbled beach, friends smile at my success and hand over a cold Pacifico. 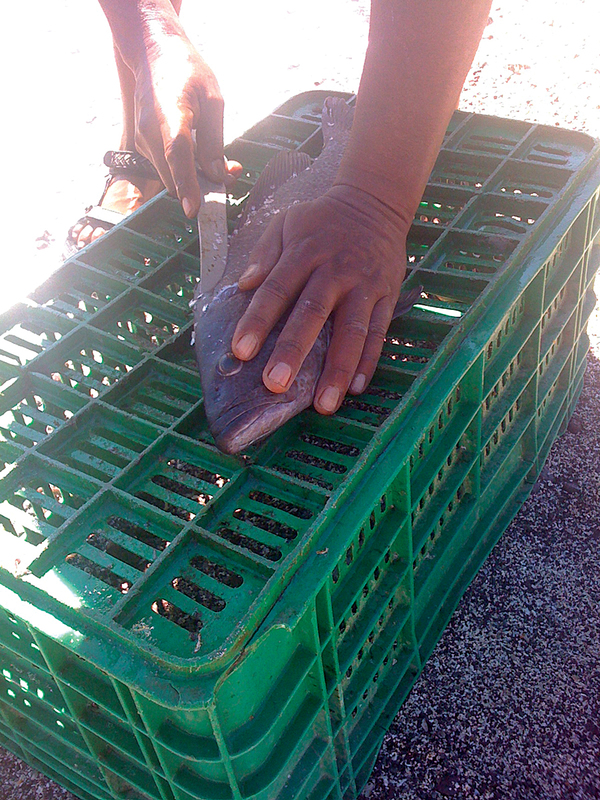 We’ll have sushi in minutes, crushing fresh wasabi and dousing the cuts with soy sauce. This is paradise—this is Baja. Traveling in Baja is far easier and safer than most imagine. 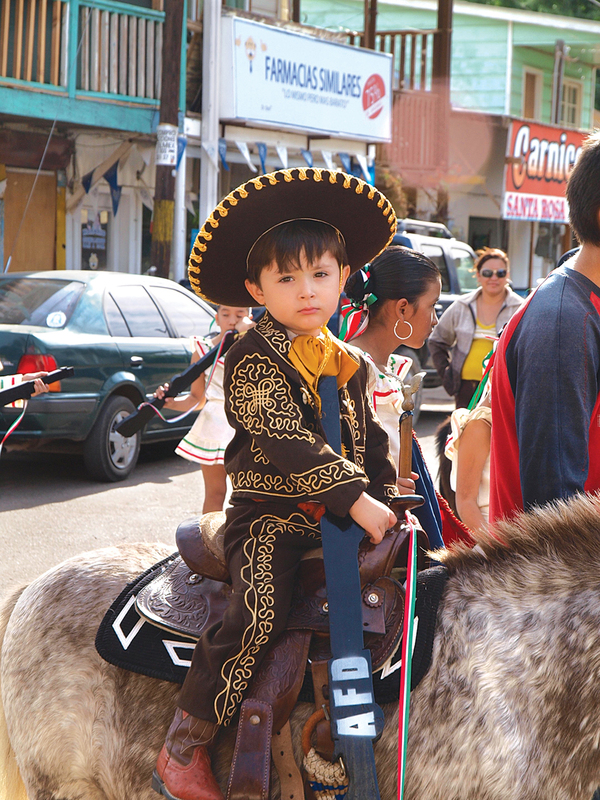 Once south of the border cities and their expansive maquiladoras (factories), the primary source of income for locals is tourism, ranching, and fishing. With a few preparations, a robust vehicle, and some knowledge, adventures on Overland Journal’s favorite peninsula can be safe and fun. From the first Model Ts driving to Mulegé, to the SCORE races that have tested man and machine for four decades, Baja has enjoyed a legacy of epic vehicle travel. The first serious overland trek was completed in 1925 when Erle Gardner drove from Tijuana to Santa Rosalía. In 1928, a road to Mulegé was completed and an expedition from the Automobile Club of Southern California documented the first useful maps of the peninsula. In 1930, the “road,” a rocky and rutted dirt two-track, was extended all the way to Cabo San Lucas—which was at the time no more than a single pier and small fishing village. I have met several Baja aficionados who traversed the peninsula before the 1973 completion of Mexico 1 (Mex 1, the transpeninsular highway from Tijuana to Cabo San Lucas). Their stories (see Al Walters’ notes on page 113) are captivating and filled with accounts of busted frames, punctured fuel tanks, and shredded tires—adventure. While the entire length of Mex 1 can now be driven in a minivan, any desire to venture off-pavement should be supported by a sturdy vehicle. Modifications can be limited, but the base vehicle should be reliable and 4WD. Of course, just when you are feeling really cool in your fully kitted rig, a local will pass you through the brush in a clapped-out Toyota Corolla—but having the right hardware will improve your odds of trouble-free travel. The Toyota Tacoma is a popular choice for Baja travel, as it affords the simplicity and reliability desired and can be easily modified (although not necessarily cheaply) to handle any road on the peninsula. As for modifications, they should be kept to a minimum and favor a lighter, better-handling vehicle than an overloaded and unstable monster. The most dangerous things in Baja are the highways, namely Mex 1. They should not be tackled with 200 pounds of gear on the roof and a budget suspension hacked together from JC Whitney. On or off the pavement, one of the most important upgrades is a set of high-quality tires and a matching spare. Size is less important than construction—which should be light-truck rated with the strongest carcass possible. I have had excellent success with BFGoodrich All-terrain TAs, although other tires, including the Goodyear MTR and Cooper STT, are also known for durable sidewalls. Huge tires are rarely necessary, although a small increase in diameter over stock will improve running ground clearance and usually provides greater surface area when aired down—you’ll appreciate this on Baja’s sand and silt tracks. Complement the full-sized spare with a complete tire repair kit and air compressor. Careful attention should also be paid to the vehicle’s suspension. 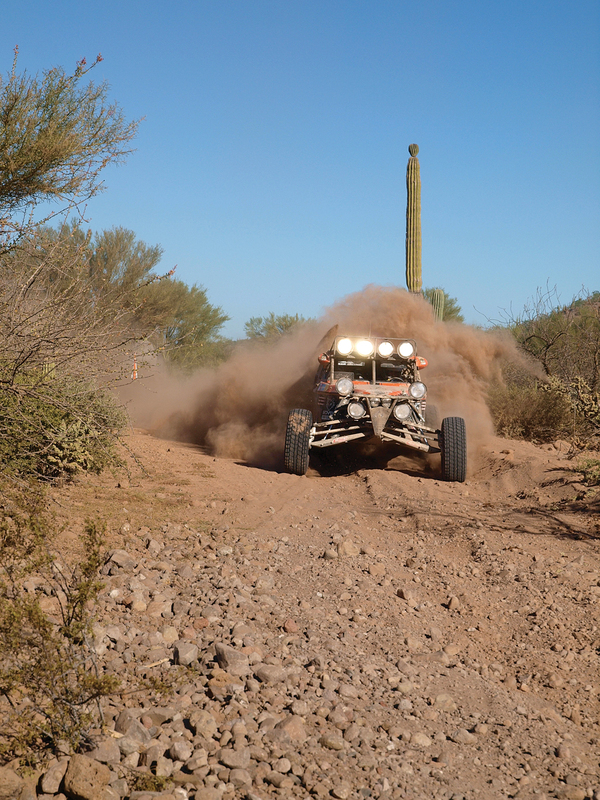 Shock and spring failure on Baja’s heavily corrugated dirt roads are common. If the suspension manages to survive the dirt tracks, the random vado (dip) or tope (speed bump) on Mex 1 will wreak havoc on, well, everything else. As a general rule, if the load is light, stock springs may suffice. However, the shocks should almost always be upgraded to provide better fade resistance (high-heat thinning and foaming of the shock oil) and durability (mounting integrity and shaft diameter). I fitted my 2004 Tacoma with an Icon Vehicle Dynamics suspension and Deaver rear springs. The ride and handling were significantly better than stock, and the vehicle survived tens of thousands of miles of fully-kitted travel—including prerunning the 2007 Baja 500. A number of manufacturers offer high-quality suspensions designed to accommodate heavy loads and extended abuse. The key is quality of construction. Avoid tall “suspension lifts,” as handling is adversely affected (think emergency lane change around a cow in the road) and “tall” is not necessary when in Baja—I promise. For navigation in Baja, I will help shortcut the research loop and advise you on all of the products that “just work” south of the border. 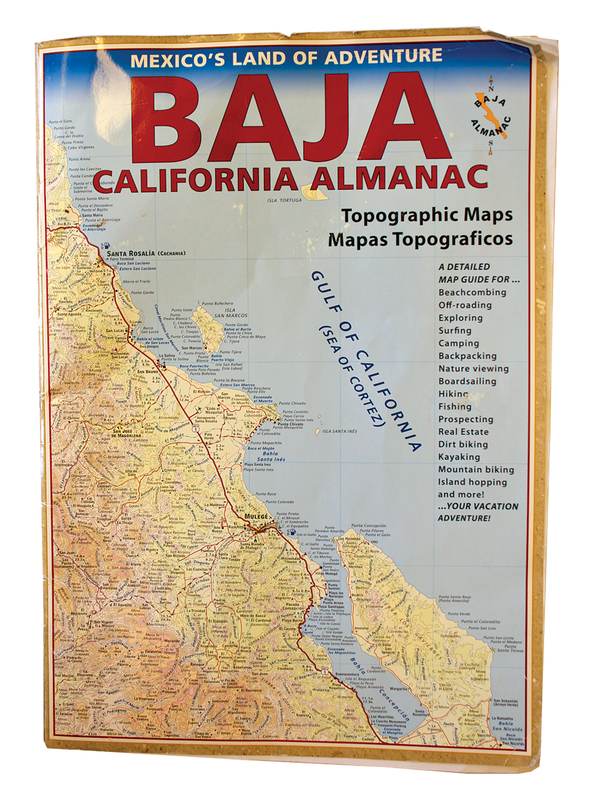 The first purchase should be the Baja Almanac, a large-format road and topographical atlas of the entire peninsula— all in full color and 1:350,000 scale. For a second/smaller map to complement the almanac, or as a primary tool on a moto, the new National Geographic Adventure maps are excellent and durable (one map for Baja California Norte, and another for Baja California Sur (1:450,000 scale). And don’t forget a good-old whiskey compass. While GPS is a worthwhile support to paper maps, I have mostly found it useful for recording a track or marking those perfect campsites and taco shacks. If detailed base maps on your Garmin are the goal, Larry from LB Maps has the best offering. He aggregates user-contributed tracks to provide the most comprehensive digital back-road data we have found. Safety equipment fire extinguisher, comprehensive first aid kit with antibiotic and gastro-intestinal medications, and road flares. Recovery equipment and tools A high-quality recovery kit and Hi-Lift jack are essential. 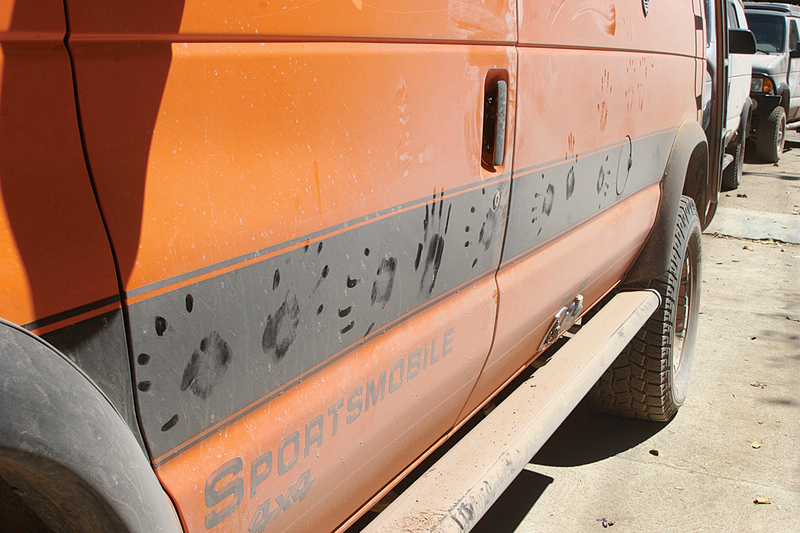 A pair of sand tracks can be handy, along with a comprehensive tool kit for your vehicle. And don’t forget basic spares (belts, hoses, and filters). 12-volt fridge Though acquiring ice is no longer an issue in Baja, I highly recommend a 12-volt fridge to keep those Pacificos and fish fillets fresh. Remember, Baja has long, hot summers. Hot weather travel to the more remote areas of the peninsula can quickly turn the contents of a cooler into a mashed and blended soup of mass destruction. Having a fresh, cool, dry food supply is a reassuring perk—and the pure joy that comes from handing an ice-cold Coke to the fisherman who just sold you fresh lobster is unforgettable. Camping equipment Camping equipment should be sturdy yet simple (i.e. serviceable). Most of your cooking will be done in pleasant outdoor temperatures and settings. Sleeping can be done in anything from a cot under the stars (my favorite) to a fully integrated camper. It is important to avoid cluttering your experience with heavy and distracting gear. 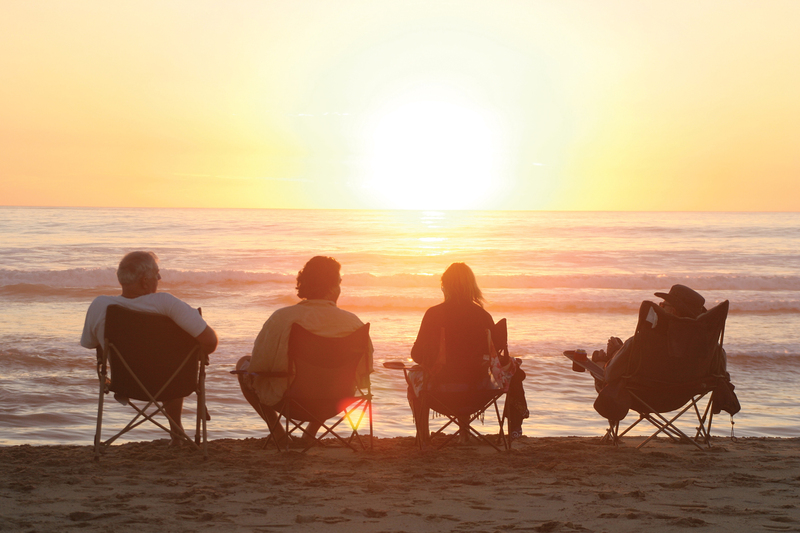 Instead, save your money for fuel and an extra margarita at sunset. Radios HAM radios are quite useful in Baja, but technically require a permit from the Mexican telecommunication commission (COFETEL). Mexico does have reciprocal agreements with the US regarding HAM licenses, but the permit should be obtained. We use 2-meter radios on Simplex for vehicle-to-vehicle communications. This greatly improves safety on the busier paved routes, announcing to drivers behind you of the presence of donkeys in the road, drunks staggering against traffic, or a semi wandering dangerously over the yellow line (there are no shoulders on most paved roads). We have endless stories about the crazy things we’ve encountered on Mex 1. Tourist visa While it is fairly easy to travel in Baja, some pre-planning is useful. As a matter of convenience, many complete their tourist visa (FMT) prior to crossing the border (required if traveling south of the “tourist” zones). This is accomplished most easily through Discover Baja in San Diego. You can complete the visa application online. The prepaid visa is sent in the mail, but the migración (immigration) entry stamp at the border is required for validation. Vehicle insurance Contrary to popular information, vehicle insurance is actually not compulsory in Mexico. However, the law does state “proof of financial responsibility” is required. In the event of a collision, liability would need to be covered by the driver at fault, and both vehicles may be detained until compensation has been secured. Insurance provides access to counsel and limits the detention and impound period. Shelling out a nominal amount of pesos for a policy gives considerable peace of mind. It is important to do a thorough search of your personal effects and vehicle prior to crossing the border. Possession of firearms and ammunition is highly illegal and carries a maximum penalty of 30 years incarceration. If a federale (military cop) finds a single spent cartridge rolling around your floorboards, the subsequent and thorough ravaging (search) of your vehicle, in addition to causing delays, will be very unpleasant and a mess to clean up. Drugs are also a serious offense and carry similar penalties to those for guns. It is a good idea, as when traveling in any country, to keep all medications in the pharmacy-labeled container. Mexico operates under Napoleonic Law—essentially you must prove innocence before charges can be dropped or fines reversed. Let me say this: NOTHING is worth the risk of 30 years in a Mexican prison. 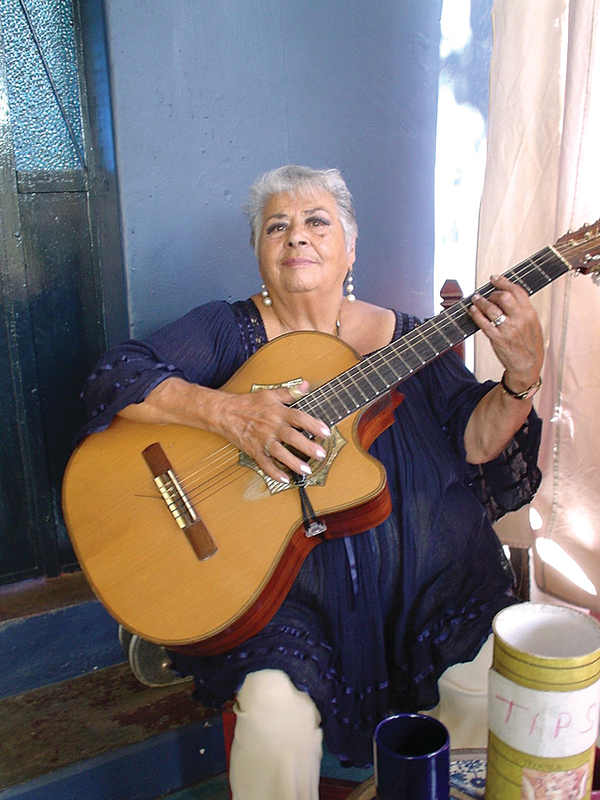 As a guest of the Mexican people, you are subject to their laws, culture, and language. Show respect, comply with local laws and customs, and make an effort to speak their language. Even a simple “hola señor(a)” and “lo siento, yo no hablo español” (I’m sorry, I don’t speak Spanish) will go a long way. Crossing the frontera into Mexico is an easy process, and begins with a few minutes on the US side cleaning up and organizing your cab. A neat, tidy vehicle will greatly reduce suspicion and make any inspection much more efficient. When approaching the border zone, you will likely navigate a maze of concrete pillions on the US side, then a series of drive-through control gates on the Mexican side. There may be a drop arm, but most likely there will just be green and red lights on the driver’s side. Green means continue on, while a red requires you pull into the inspection station where a federale or aduana (customs) agent will likely ask a few questions and check the contents of the vehicle. Our experience has been that they are professional and just doing their job. Once the inspection is complete, you will want to park, grab your passport, find the immigration office and obtain the FMT tourist visa. This is technically not required if your stay is north of Baja Sur and less than 72 hours. The FMT costs $32 if processed through Discover Baja and about $20 if obtained at the border. Once these formalities are complete, “Welcome to Baja.” You may begin your south-of-the-border adventure now. The biggest mistake I made during my early Baja travels was bringing too much food. 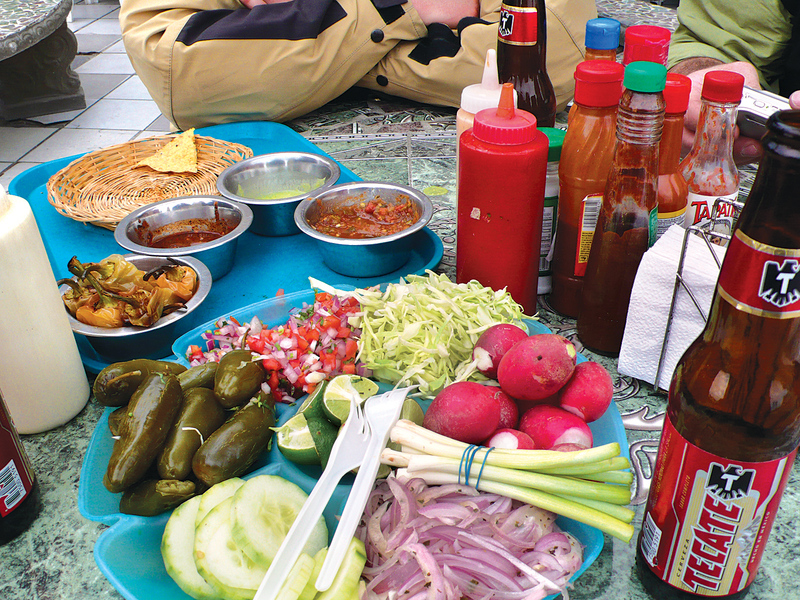 Yep, the food in Mexico is some of the best in the world and it is cheap. There are big grocers in the larger cities that may even have baristas to serve up a double cappuccino. Smaller towns will always have a market with basic sundries, and usually a restaurant or two. I’ve had some of the most delicious food in all of my travels in these local cantinas; just don’t expect to find any nachos or chimichangas. One of the common questions we receive about travel in Mexico is whether or not it is safe to eat the food and drink the water. In years past, food and waterborne illnesses were commonplace, but this is becoming much less of an issue. Over the last few years, I made the decision to start drinking the water, asking for ice in my drinks, and even eating salad—I’ve yet to experience a single run-in with Montezuma’s revenge. A more conservative approach would be to skip the salad and make sure the food you eat is piping hot. In the end (no pun intended), the likelihood of a problem is minimal. Most gastro-intestinal issues, when treated with Ammonium AD or antibiotics, pass in a day. I find the risk worth it. Another taco de camarones (shrimp taco), please. The camping experience in Baja is almost always better than a hotel. There are exceptions to this in the larger cities, but on most nights I yearn for the sound of crashing waves and the glow of the Milky Way. 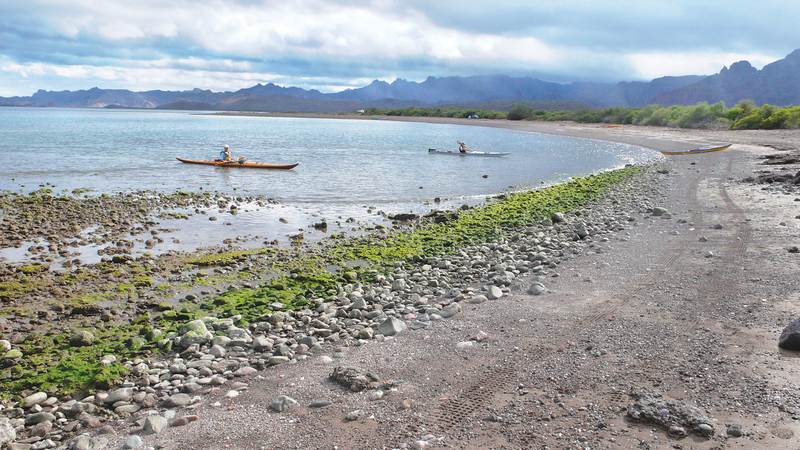 There may be options for campsites near towns and popular beaches, though that “improvement” might only be a palapa (a thatched, open-sided structure) and pit toilet—maybe a shower—that is usually cold. 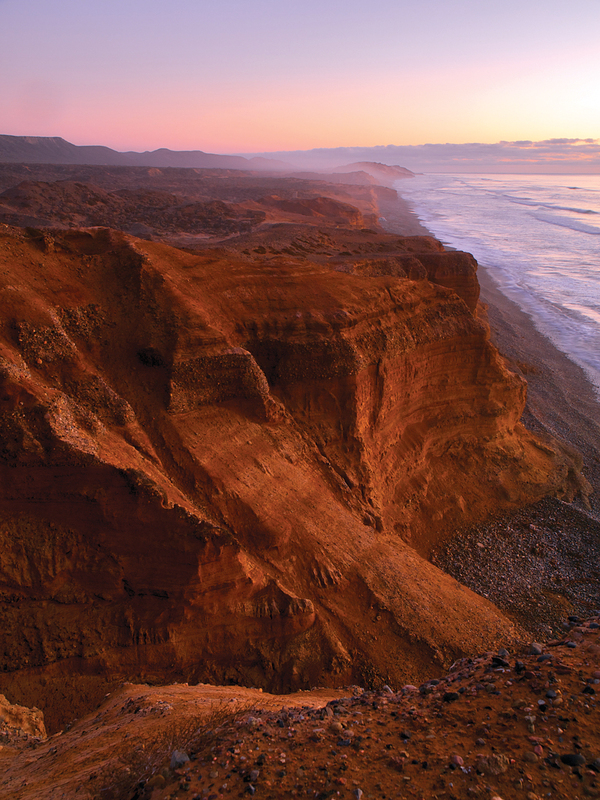 The best campsites are the remote ones on secluded beaches and isolated arroyos or canyons. It is important to remember that nearly all of the land in Baja is privately owned or part of a national park. The exception is the beach, which is public to the high-tide line. If there is a rancho near your desired campsite, it will be worth stopping in and asking permission to camp. Some respect and a smile can go a long way. Border cities hold few attractions for the adventure traveler. Their economies are built on a combination of manufacturing and “entertainment” (which unfortunately brings the security issues of any big city). Most are merely a conduit to the places we really want to go. Tecate, a pleasant little town famous for its exclusive spa resorts and nearby brewery of the same name, is one exception to the rule. Tecate is my favorite crossing point into Baja. This is not to say Baja doesn’t have any cities worth exploring as La Paz makes the top of the list in this category. There is a beautiful malecón (esplanade), and beachfront hotels intermixed with a variety of restaurants (even an Irish pub and a vegan cafe). The atmosphere is casual and relaxed, and with an authentic feel—attributes that have been commercially bleached from Cabo San Lucas. Loreto is also a nice city to stop in for a taco and resupply on your way south. Most small towns are located along the Mex 1 corridor and serve to refuel vehicle and driver. Though hidden beneath layers of dust, many have a unique story to tell as well. It might be of Mama Espinosa’s lobster burritos in El Rosario, the lost mission of Santa María near Cataviña, or the mission and verdant lagoons in San Ignacio. Don’t hesitate to park the truck and walk around a bit. Some basic research in the highly recommended Baja Adventure Book or Lonely Planet (more current) will remove much of the guesswork. Baja Legends, by Greg Niemann, is an excellent source for “insider” information. Tips Safety and security is the most frequent discussion point with regard to Baja, and reservations are understandable. US media channels have painted an alarming picture of Mexico—some of it well-deserved. 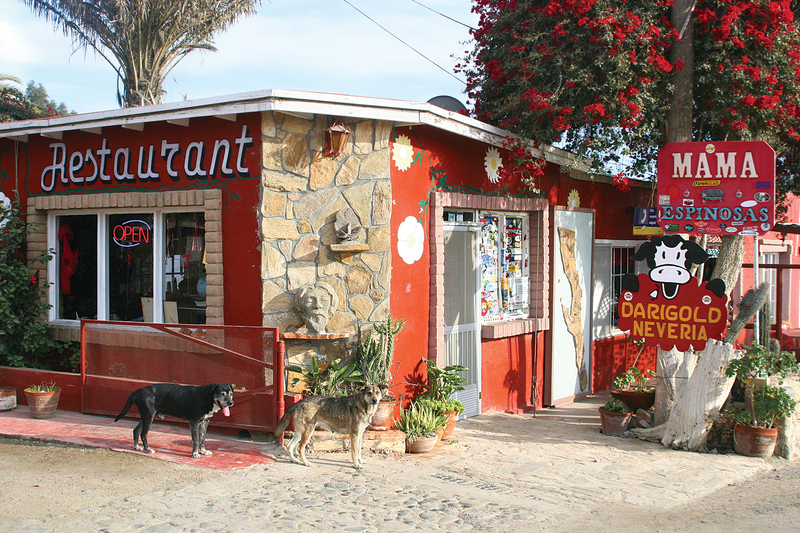 However, much as the violence in Detroit is not a reflection of safety in Prescott, Arizona, the issues in Tijuana have no relevance to the colorful and inviting Todos Santos. It is important not to be dismissive of the potential dangers, but rather to go equipped with realistic expectations and accurate information. Travel tip #1 Avoid traveling at night. This has much less to do with banditos than it does with open grazing and other hazards of the night. I still remember coming around a corner and finding a drunk wandering down the road, stumbling in and out of the lane. The most dangerous thing in Baja is the road, and it must be approached with vigilance, starting with no driving at night. Travel tip #2 Keep control of your valuables by locking your vehicle and not leaving cameras, purses, or bags on the seats. Violent crime is rare in Baja, but petty theft, as in any developing country, can be a problem. The “out of sight” rule has served me well around the world. Don’t keep large amounts of pesos or dollars in your wallet, but carry only what you need for the day. 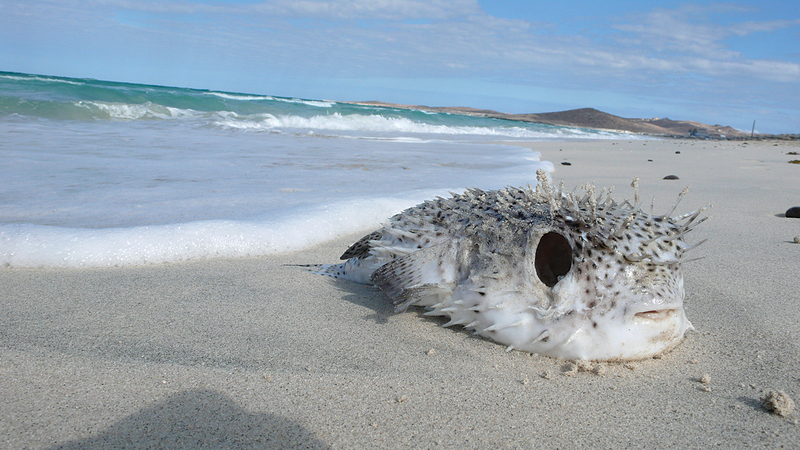 Overall, Baja is a tranquil and safe place to travel. I have completed dozens of trips into Mexico and have never experienced a problem (other than being subjected to attempted extortion in Mexico City, but that is another story). I was in Baja last December with several friends, including their six-month-old daughter—No banditos, just great memories. 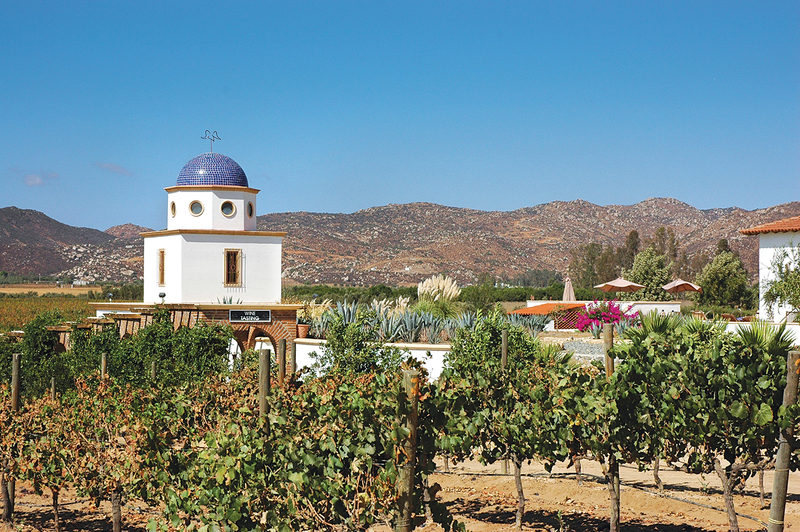 The Wine Region One of the best-kept cultural secrets in Baja is Valle de Guadalupe. Wine production in Baja is older than most would imagine. The first Vitis Vinifera, planted by Father Ugarte at Mission San Javier in 1701, predated California vintners by nearly a quarter century. After crossing the border in Tecate, you’ll find the wine region is a great place to spend the first evening as you begin to settle into Baja time. We have stayed at Adobe Guadalupe, a beautiful winery with bed and breakfast accommodations and wonderful meals. It is also possible to camp in the vineyard with prior permission. Laguna Hanson Within an easy drive from the border is Baja Norte’s high country, a forested region with elevations around 5,000 feet. This beautiful route starts near La Rumorosa and climbs through the foothills and higher plateaus to the National Park Constitución de 1857. The route is stunning and includes small ranchos with family-run restaurants and cabañas for rent. 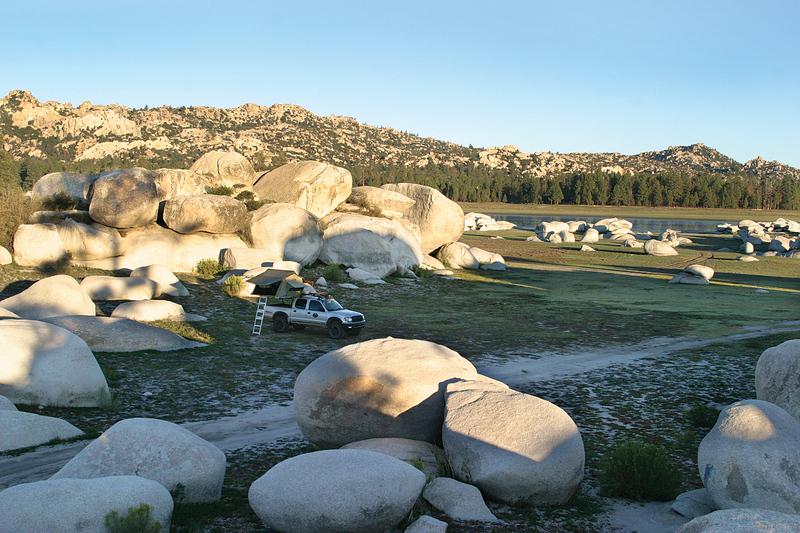 Laguna Hanson allows camping on the perimeter of the park’s man-made lake. A small fee must be paid when entering the park. The contrast between this place and the rest of Baja’s arid landscape is striking and worth the visit. Mike’s Sky Rancho Mike’s is a small hotel and rancho along the famous SCORE Baja 500 route and has long been a popular rest stop for drivers and riders. Camping and family-style dinners are available, the rooms are clean, and there is a cool splash awaiting in their courtyard pool. The road in is beautiful and a good test for the 4WD. It is also possible to continue south toward Rancho Meling and the road into Picacho del Diablo. San Pedro Martir (for the climbers among us) Picacho del Diablo (the Mountain of the Devil) rises 10,157 feet above the Pacific coastline, and reaching the rocky summit represents a serious climbing challenge. There is not much of a trail and the last third is a full-on scramble where most climbers choose to use a harness and rope. There is also an interesting celestial observatory and forested campgrounds. A small group and I attempted the mountain in May of 2005 and were turned back by heavy snow drifts on the north face and snowfall. 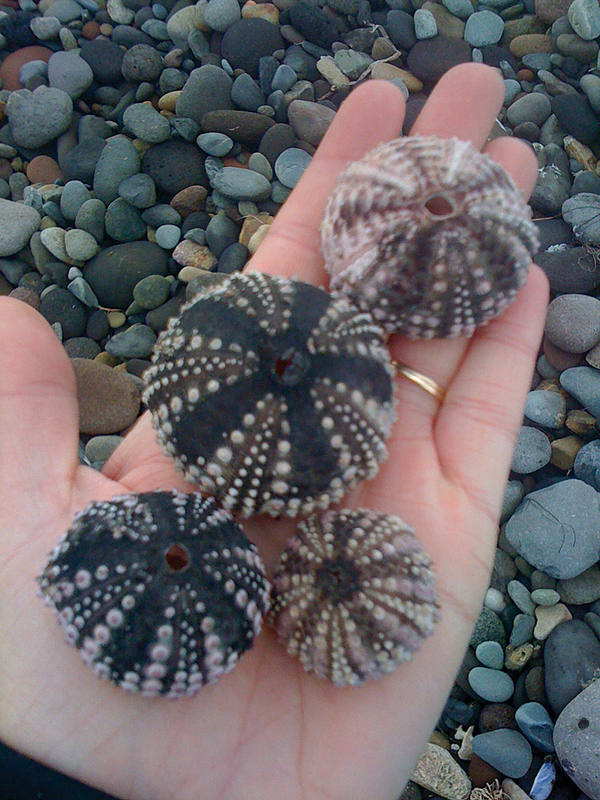 Gonzaga Bay Alfonsina’s Cantina and the beaches of Gonzaga Bay are the real draw to this section of the coast. A small dirt airstrip and beachfront homes serve an expatriate community and fly-in vacationers. 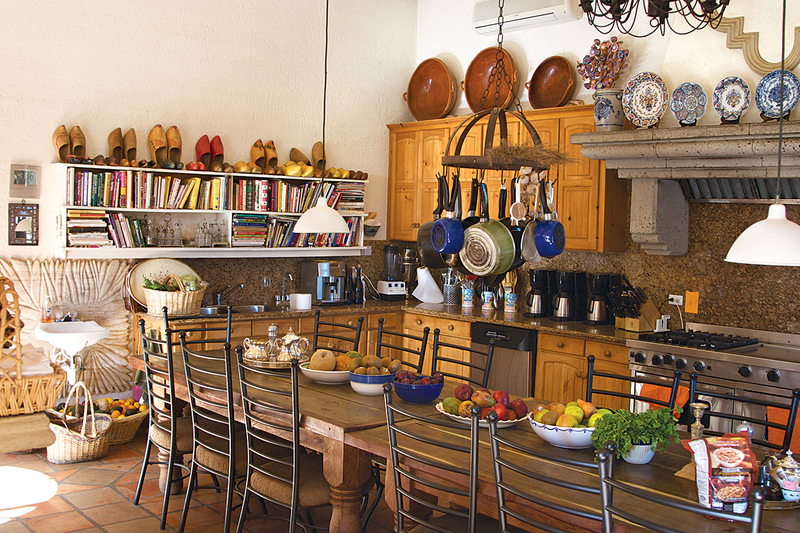 There are a Pemex and a small hotel/cantina, and that is it—but this is part of the charm. For the overland traveler, driving the road from Puertecitos down to Mex 1 can be one of the most interesting parts of the trip—although more of it is being paved each year. Bahía de Los Ángeles The best route to Bay of L.A. is via the Mission San Borja road. 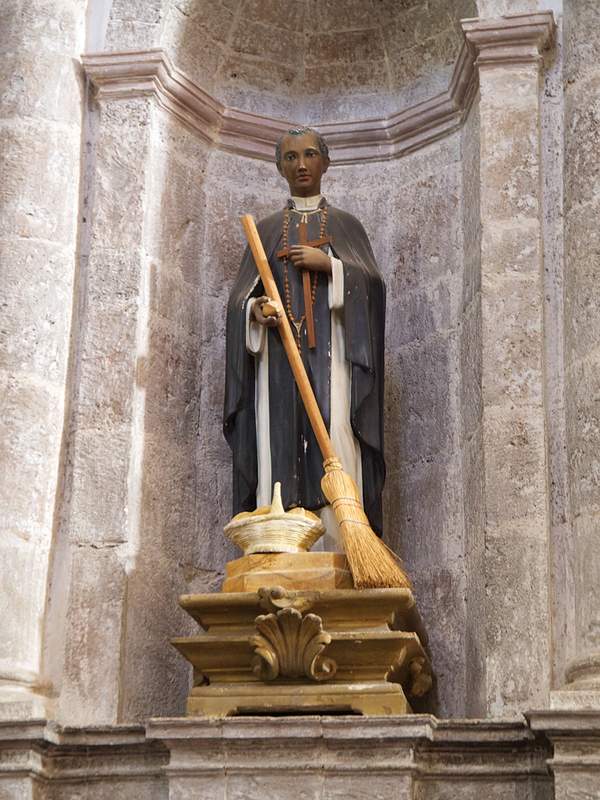 Starting in Rosarito, it winds its way through large washes and mountain tracks to one of the best-kept secrets in Baja Norte: Mission San Borja. There are small palapas for camping, and hiking tours to hot springs, pictograph sites, and pristine cactus-lined canyons. From San Borja, the road continues north to Bahía de los Angeles with more 4WD work and beautiful views. Bay of L.A. itself is little more than a fuel stop and a few restaurants, but the beach camps south of town are stunning. This is also northern access to remote southern destinations (more beach camps) such as San Francisquito, San Rafael, and El Barril. The track ultimately turns west to El Arco, Mex 1, and the state of Baja California Sur. San Ignacio Most of Mex 1 runs through Baja’s arid interior desert. 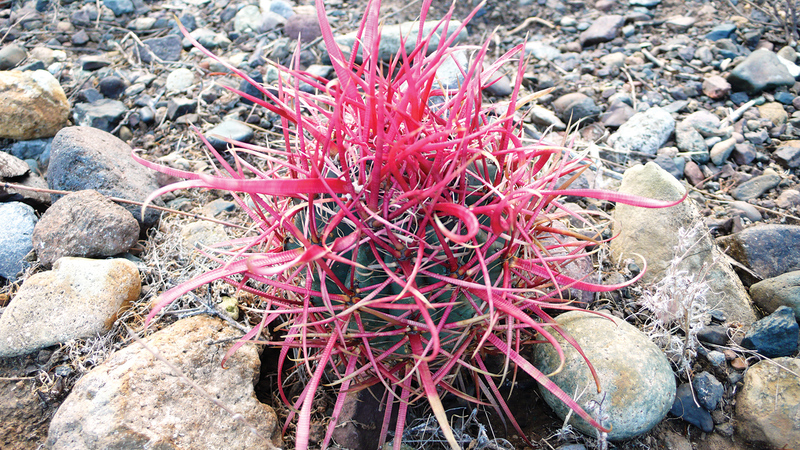 While boojum (cirios) and cardón cacti pepper the landscape, there is little in the way of fresh water. However, when you turn off at San Ignacio, the brown transitions to green, palms appear, and then a beautiful blue lagoon manifests with campsites and cabins available. 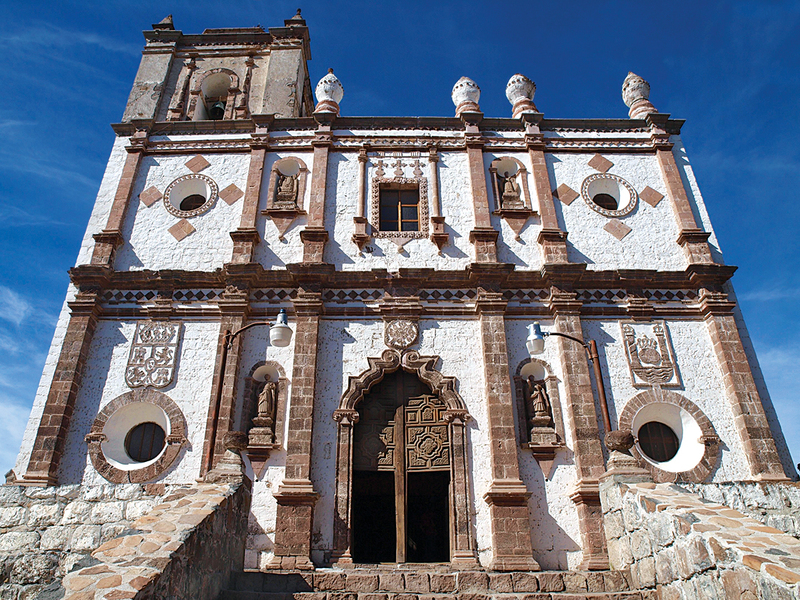 The town is clean and authentic with a well-preserved mission and colorful town square. Cozy restaurants dot the streets and locals add to the charm. 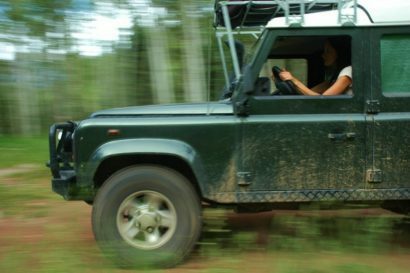 San Ignacio is the jumping off point for 4WD roads into the interior and several interesting tracks leading to the Pacific Ocean and the Sea of Cortez. Santa Rosalía Despite the crooked Pemex operators, Santa Rosalía has become one of my favorite towns in Baja, principally because of its unique history and surprising historical buildings. Originally owned by a French mining conglomerate, the town has a French Quarter, positioned high on the hill with tropics-inspired homes and the Hotel Francis. In town, there is a 120-year-old bakery that still turns out hot baguettes and other treats. We never pass through without filling up on bags of pan (bread). 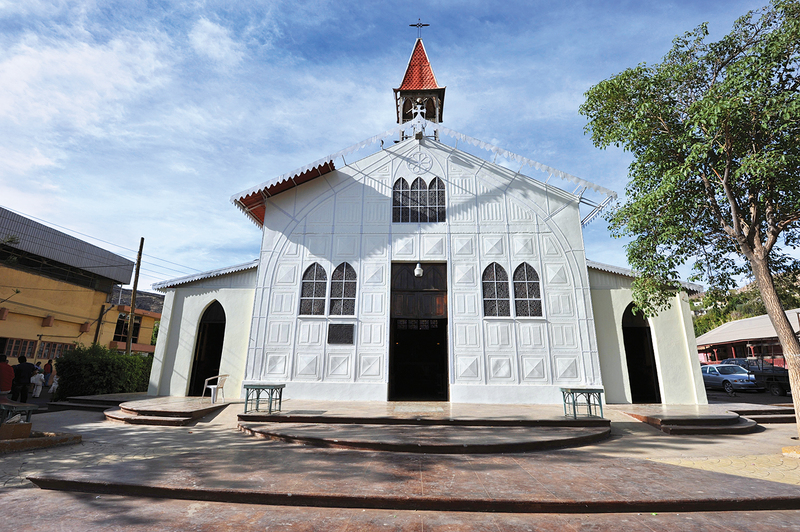 The most notable structure in Santa Rosalía is the iglesia (church), which is said to have been built by Gustave Eiffel and originally displayed alongside his more famous tower in the 1889 World’s Fair. Bahía Concepción The village of Mulegé and the beach camps along Conception Bay mark a notable transition into the subtropical region of Baja with evidence of greater rainfall. 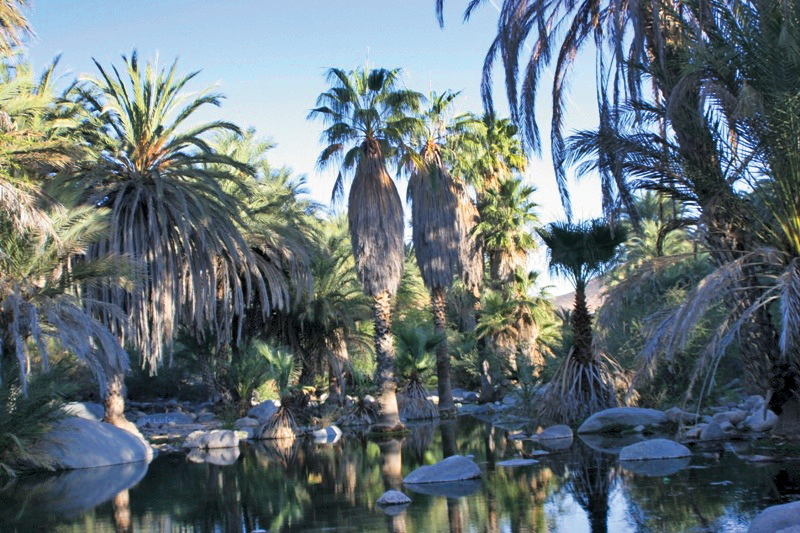 A small river runs through town and there are thousands of date palms. 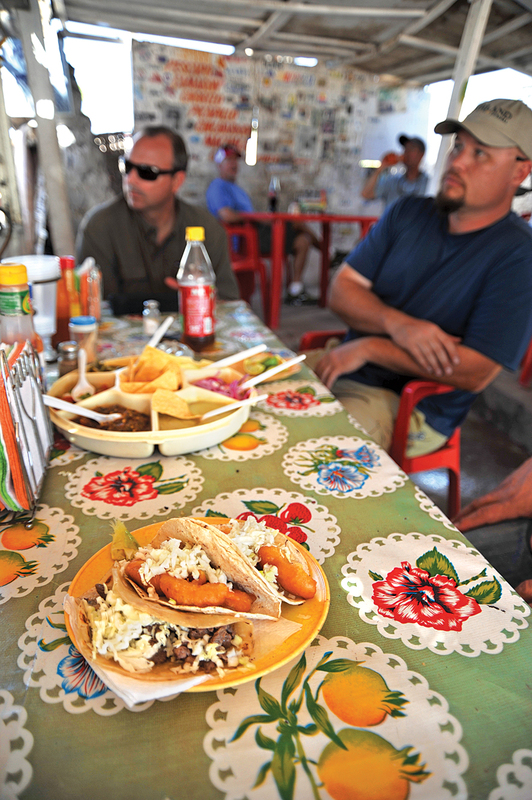 Mulegé is a fun, bustling town with small, crooked streets and many excellent restaurants. Little shops and even a coin-operated laundromat are available to resupply the weary traveler (note: park big trucks outside of town). One of my favorite campsites is about 20 minutes south of town on a small spit of sand called Requesón. I have met dozens of other overlanders on that little sandbar. The snorkeling is excellent, and there is a small island to hike around on. Agua Verde One of the top overland routes in Baja is the one-way trek to Agua Verde, a roughly graded dirt track just south of Loreto. The road winds through the desert and over a mountain pass before switchbacking down a narrow canyon to a series of bays—the final bay being the setting of a small village and single restaurant. Camping is available, fresh fish can usually be purchased right from the catch, and I’ve enjoyed a panga (boat) tour led by an enterprising local who showed us sea lions, bird rookeries, and several caves. 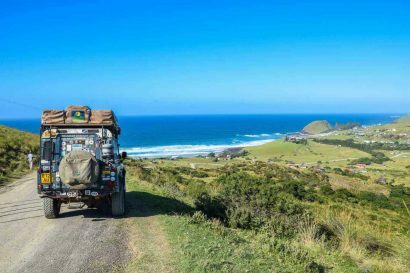 San Evaristo If a serious overland trek is on the agenda, the remote, rugged route to San Evaristo—though difficult to locate—is one of the best on the peninsula. The track, which winds its way through washouts, loose climbs, and narrow shelf roads, is best suited for the experienced Baja traveler. Deep gorges and canyons fall away from an elevated plateau, and small ranchos and villages provide a unique experience. Several old missions can be accessed by 4WD or on foot, and the route eventually terminates at the gulf. Fuel and supplies may not be accessible (especially diesel) in San Evaristo, so plan accordingly. The rewards for making this trek are stunningly remote campsites and beautiful, isolated beaches. The route continues south along the coast, eventually turning to pavement and finishing in La Paz. Todos Santos and the Naranjas Road Another excellent overland trek is the Naranjas Road, which starts just south of Todos Santos and eventually connects with Mex 1 just north of the Cabo San Lucas airport. This 25-mile route traverses the rugged mountains north of the Cape, reaching an altitude over 3,000 feet before descending to the east. 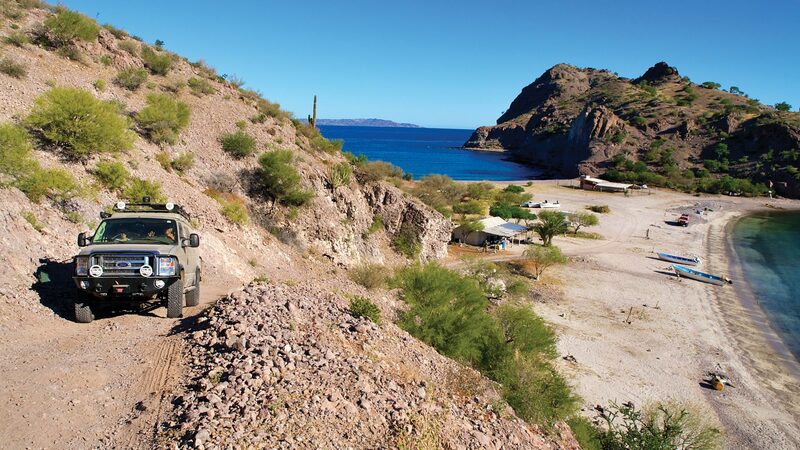 It is one of the few roads in Baja that requires low-range and a smaller, more nimble vehicle—this can change, for better or worse, with each passing year. 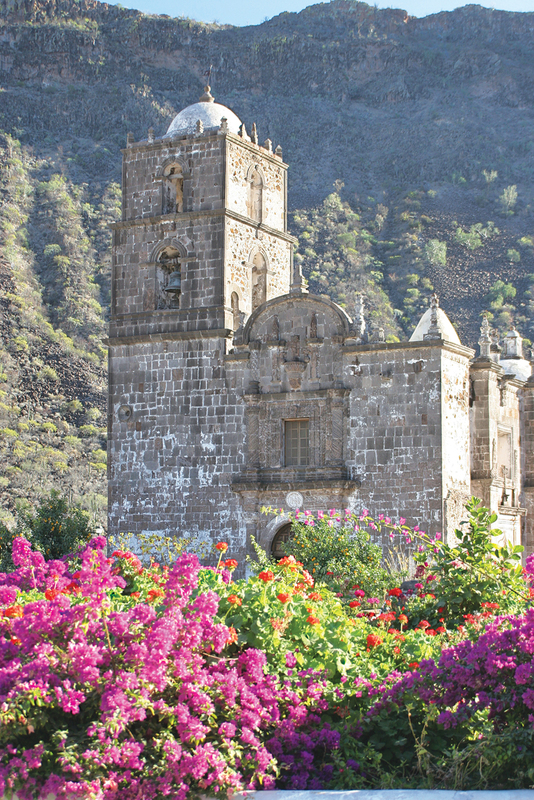 Todos Santos is a quaint little village on the Pacific, and worth visiting. It claims to be the location of the original Hotel California (think, The Eagles), which is still operational and nestled amongst art galleries and restaurants. There is also a quiet beach camp to the south of town. This is about as far south as I would recommend going, unless cheap T-shirts, expensive margaritas, and pushy timeshare salesmen are your goals. Once the stop signs in Cabo changed from “alto” to “stop,” Cabo lost its appeal for the adventure traveler. Though our favorite peninsula is slowing changing, much of Baja has retained its old-world charm and appeal. With long, sandy beaches, stunning landscapes, and thousands of miles of backcountry two-tracks, there are hundreds of new adventures to be written. It is time to dust off the passport and head south—fish tacos and Pacificos are waiting. 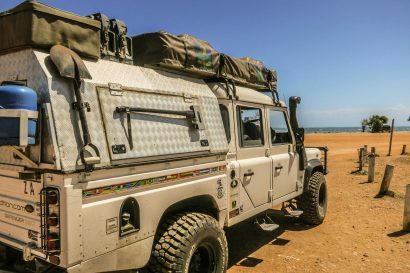 Editor’s Note: While Baja California has proven to be safe during dozens of trips by Overland Journal’s team members, travel in any developing country comes with risks, and no one is exempt from freak accidents. We always advise people to use extra caution, check current conditions with the US State Department and Baja forums, and respect local laws. If you do need help, it may be a long distance or several days away.